Rod Melancon announced today he will be releasing his new album Pinkville on Blue Élan Records on April 5th, 2019. The new album, which was recorded and Produced by Grammy award winning Producer Adrian Quesada at Level One Studios in Austin, TX, is the follow up to the 2016 critically acclaimed release, Southern Gothic. 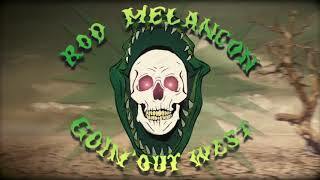 Along with the announcement, Rod released “Goin Out West”, the second single from Pinkville, which is Rod’s raucous rendition of the Tom Waits classic. Check out the new single on digital platforms now! Listen now by clicking HERE!